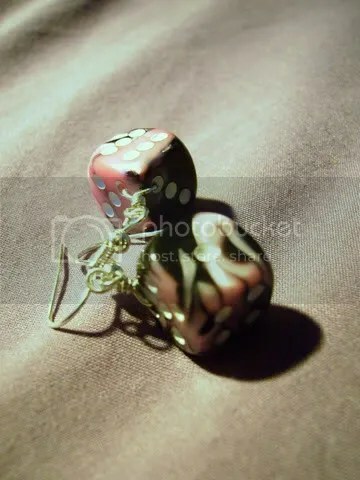 This pair of earrings are from a collection I have up for sale and were made from a pair of 12mm pearlescent Pink/Black Gemini six-sided dice with white numbers. Although the picture does not do the dice justice, the pink and black marbling contrast yet so perfectly complement each other. 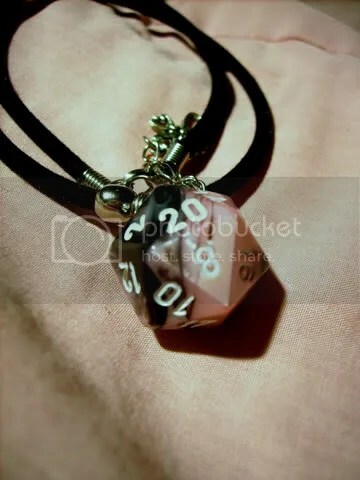 This pendant is from a collection I have up for sale and was made from a single standard-sized pearlescent Pink/Black Gemini twenty-sided die with white numbers. Although the picture does not do the die justice, the pink and black marbling contrast yet so perfectly complement each other. 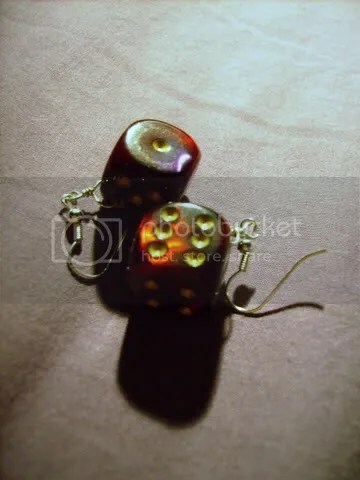 This pair of earrings are from a collection I have up for sale and were made from a pair of dual colored Pearlescent Purple and Red Gemini six-sided dice with gold pips. 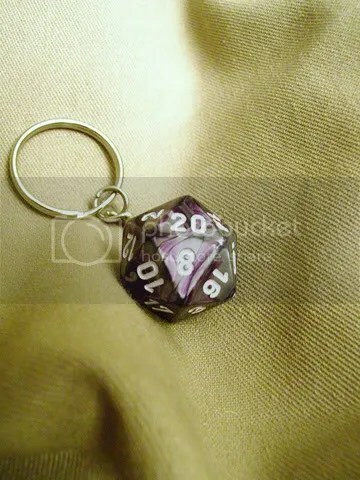 Although the picture does not do the dice justice, the swirling red and purple contrast, yet complement each other almost perfectly.